Given that – the following is my visualization of a structured approach to engaging all parties in a service delivery relationship with the goal of maximizing the synergy of ideas from different sources while maintaining a reasonable level of control and accountability without clogging the works too much. 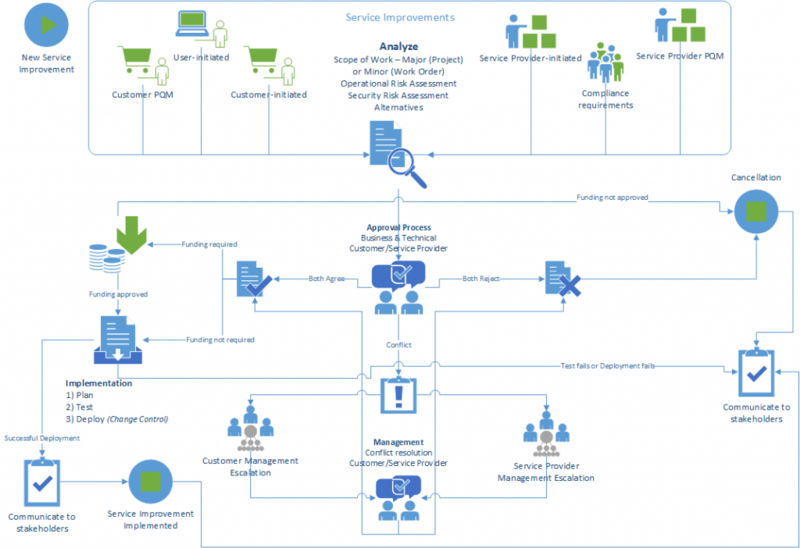 This entry was posted in Enterprise Architecture and tagged Musings. Bookmark the permalink.